The Blue Deer online shop! This week, specifically on wednesday the 14th of march the blue deer online shop will go live. With 2 posters going live right away. The New York poster took over 24 hours to illustrate, this was the first in the a2 poster series. 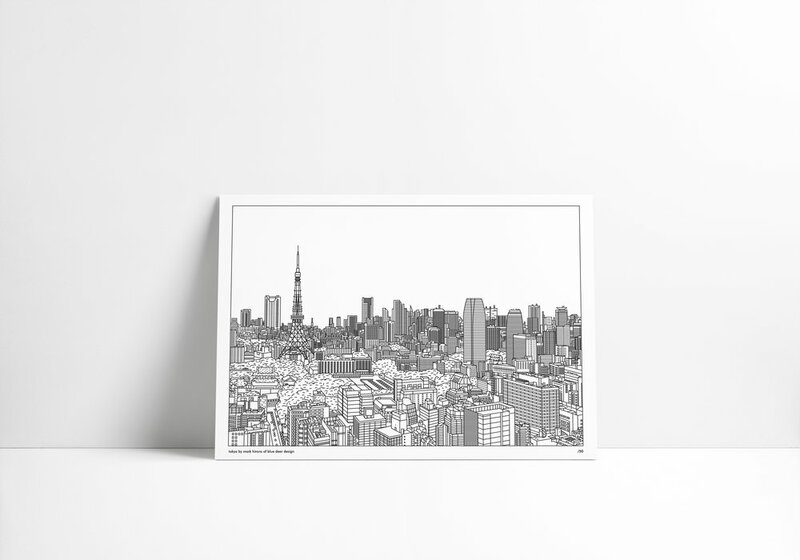 This week, I also completed a tokyo poster, approaching it with the same style but with perspective in mind. These are limited edition posters with only 50 of each in the world. The new york edition has only 32 left to purchase with the others being sold on original release back in December 2017. I'm really looking forward to another chapter and another web page on the blue deer site. Last year selling a few New York posters and seeing them in people's houses, it was an amazing feeling of pride. Hoping to do more of the same this time. Please let me know if you have any questions (hello@bluedeerdesign.co.uk), thanks so much, Mark.